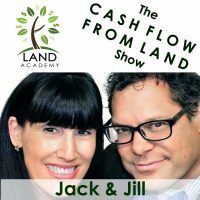 Steven Butala: Today Jill and I talk about land, business, legal and tax corporation setup. [crosstalk 00:00:18]. If you listened to our show yesterday, we totally covered this topic, so we’re going to change it up a little. Steven Butala: If you really want to know about land, business, legal and tax, please listen to yesterday’s show. It’s show 736. Jill DeWit: Shoot, I wanted to talk about this more. I really like this topic. Steven Butala: I know you love talking about taxes. Jill DeWit: Man. I’ve been waiting for this. Steven Butala: We set it all up yesterday. We got into this, we went … oops, too late. We ran over in time and we decided that we’re going to in detail cover today how much mail is too much. Jill thinks you should send out 50,000 letters and just deal with it. Jill DeWit: And jam up the system. Steven Butala: Jam the system up. Steven Butala: Be on the phone all day and so, I completely disagree with that. Jill DeWit: Not necessarily. Can we do both, because people are going to be looking for this show. Can we do a little bit of recap and do that too? Steven Butala: Sure. We’ll recap. I’ll recap in just a few sentences your legal situation, how you should set this all up after you’ve done 10 deals. That’s the theme of this week. Jill DeWit: Thank you. I’m happy now. Steven Butala: Before we get into that, let’s take a question posted by, as if this isn’t confusing enough. Let’s take a question posted by one of our members on the landacademy.com community. It’s free. Jill DeWit: Isn’t that the greatest thing in the world, by the way, when a woman says I’m happy now? Steven Butala: It really is. Jill DeWit: I’m surprised you didn’t stop and go, “Wait, wait.” But you can also play this back often if you want. Steven Butala: That’s a whole different topic. Jill DeWit: I’m happy now. Steven Butala: What do you think the problem is? Jill DeWit: I am happy. Steven Butala: That’s a lot of women. Jill DeWit: Oh, they’re unhappy all the time. Steven Butala: I know. What is it? Jill DeWit: I don’t … that’s just their DNA I guess. Steven Butala: I know. It’s so … they learned how to do it? Steven Butala: They’re born that way? Jill DeWit: Must be. Yeah. I think there’s people that are born that way. They’re born that they’re just never satisfied. Kind of like you’re born high maintenance. I’ve seen that. Steven Butala: You know how we have all this experience buying and selling land and houses and stuff. And we have a show about it? Steven Butala: Yeah. It’s a show together. Steven Butala: Actually, it’s just a daily meeting that we have. Steven Butala: Six or seven people that listen to the show. Steven Butala: They say they liked it. Steven Butala: I feel I’m qualified from a child rearing standpoint, to really assess the situation. So when I’m walking around in public, I see little kids and I can tell, that kid’s going to be a mess. Jill DeWit: Oh, totally. I do that too. Steven Butala: That kid’s going to be great. That kid might be President. Jill DeWit: I watch it with my brother because he’s got all girls and it’s the funniest thing on the planet because I’ll never forget when number two was like, two. All I could think of was, “I can’t wait until this kid, my niece, asks for the car keys at 16.” Because at two, I can see the conversation and it’s going to be awful. Steven Butala: Yeah, because some kids, they’re real little and sit in a stroller and they’re just down in the dumps. Steven Butala: And some kids are sitting in the stroller laughing and looking around. That’s how they are their whole life. Jill DeWit: Happy, go lucky. They don’t really care. Steven Butala: They don’t change. Steven Butala: Just have a good attitude. Jill DeWit: You take one away, now they don’t care what you hand them, they want that back. Jill DeWit: And it’s a disaster. Steven Butala: Oh, I hope the people have written books about this. Jill DeWit: I think there’s a few. Steven Butala: Are there books … I’ve never read any of these books, like this is what you really need to know before you choose to have children? Jill DeWit: I haven’t read any of those books. Because by the time I got those books in my hands, it was too late. Steven Butala: There’s babies in you hand? Jill DeWit: Yes. It’s too late. That’s what’s so funny. There should be a what to expect when you’re expecting, it should be what to think about before you go there. Steven Butala: What are you thinking? Steven Butala: What are you expecting because whatever it is, it’s not what’s going to happen. Jill DeWit: Yeah. Should have open … page one should say, well it’s too late now. Steven Butala: Right and the rest of the book is blank for notes. Jill DeWit: Yeah, exactly. That’s good. Okay, back to what we were … back to our question. Erin asked, “I know Steve is not a fan of negotiating price.” That’s an understatement. Steven Butala: Erin’s obviously one of our six listeners. Jill DeWit: The offers are the price. Send enough mail to qualify leads and you’ll get plenty at your price. In my county, that hasn’t worked so far. At least at $500, there might be something there. Someone recently came to me saying that they sell their five acres for $5,000. Laura N. Cobbs suggests selling price of far more than $1,000 an acre, at last double if not more. But this particular property’s assessed value is $5,500. I know assessed value is absolutely not market value. Jill DeWit: But has anyone had any issues selling property at significantly more than it’s assessed value? Jill DeWit: I feel like that could be an issue when trying to sell to a buyer. Them seeing an assessed value of approximately half of what they’re paying. Steven Butala: It’s not at all. Jill DeWit: If I can’t sell for more than the assessed value at ideally at least double the assessed value, then I can’t buy the property. Anyone have any experience selling for significantly more than assessed value? Steven Butala: I have a lot of experience doing it and it works. Steven Butala: Should we keep going on answering this? Jill DeWit: Yeah, keep going. Steven Butala: Please hear me if you’re in our group and you’re listening to this show. $500 for a five acre property is dead. That happened in the ’90s. Hopefully, you’re sitting around saying, “What are you talking about? I just bought a property for $500.” And I hope that’s the case. But I’m telling you, the most successful people in our group are getting very creative about where they buy real estate. And they’re looking at attributes and features and things like that and justifying why it’s so fantastically … why the property’s fantastic and why the price is fantastic compared to the other stuff in the market. So buying at rock bottom, scraping the bottom cheap and then selling it for twice or three times what you paid, is not how you’re going to accumulate a tremendous amount of wealth. So the deal that you just described Erin is perfect. Five acres for $5,000. Comps suggest way more than the actual price, at least double or more. That’s how you start to accumulate some wealth. We have tons of members that just do 10, 15 deals a year and they make $10,000 or $20,000 a deal and then they go about their life. That’s a lot. It’s $150,000 to $200,000 a year, not for doing very, very little work. And that’s where the real dough is. 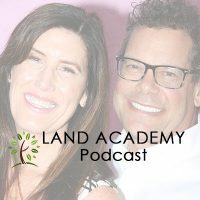 The $500 an acre thing, just so everyone knows, came from an example that I used all the way through Land Academy 1.0. [inaudible 00:06:57] from land program. So, and 2.0 which I haven’t released yet. I’m recording right now. I really go into this topic in detail and it’s very important. Jill DeWit: I think [inaudible 00:07:08] say too. I think Erin just came in too hot and came in too low and that’s why … when you say it didn’t work in that county, well that’s why. You get a little more creative like you’re saying, Steven, and really look at the comps. You know what? If you sent out … instead of sending all these offers out at $500, you need to send them out at $2,500. You probably would have got a good response. Steven Butala: To this day, and we teach this, when you go to price a mailer, it’s not to see how cheap you can get it, because you’ll put yourself out of business. Steven Butala: The whole point here is take a look at what’s available, whats for sale. This is land now. It has nothing to do with houses. Take a look at what’s for sale. If a five acre property, all of them are hovering around $10,000, then you want to be in there $5,000, $4,000, maybe $3,000. But $500 an acre is just going to make a lot of people … I mean $100 an acre is just going to make everybody mad. Jill DeWit: You what’s true? I think it’s something that we get hung up on a little bit as investors, looking at this assessed value and it drives me crazy. I want to tell everybody just ignore the stupid assessed value because A. It’s behind; B. It’s not accurate. If you’re lucky, in a perfect world, we all want our assessed value to be a third or less of what our home is really worth. Don’t you? Because then you’re going to pay less taxes on it. When you put on an addition, are you going to run down to the assessor’s office and say, “Oh. You need to up my assessed value because I just put an addition on and I threw a pool in there.” No, you’re not going to do that. Steven Butala: If you do that, film it. Jill DeWit: Oh my gosh. You know? That’s the last thing. So if it ever comes up with your buyers or your sellers, once you explain that, they go, “Oh, yeah. You’re right. Duh. I want to keep my assessed value of that.” Right? You want to be under the radar on the assessed value. The market value is really what this is all about. Steven Butala: Yeah. And if you pull a tax roll and it says market value on that because almost everybody does that now, every county. Just throw it away. Steven Butala: You have to do your own work, or the pricing won’t work. Steven Butala: By the way, everybody at the county is on your side. Everybody thinks when you walk into the county, it’s like walking into the police station where they … everybody in the county wants you to pay. Jill DeWit: Trying to pin something on you. Steven Butala: Everyone in the county wants you to pay as little taxes. Jill DeWit: You need to confess to this. No. Steven Butala: They want you to pay as little amount of taxes as you possibly can. They really are truly on your side, that’s been my experience, lik 99% of the time. Jill DeWit: Because you know what I think they’re more interested in, are you paying some taxes. That’s the whole point. If you consistently pay less taxes and they don’t have to chase you, then they love you. Steven Butala: Right. Judges are like that too. People don’t know this, but you contest, legally contest your property tax value and take it to a judge. They’ll almost always rule in favor of reducing your taxes. Steven Butala: Today’s topic. Well it used to be land, business, legal and taxed corporate setup, which we really, extensively covered yesterday in Episode 736, based on the question. So this is the meta show. I’m going to cover it in a few sentences here and then we’re going to talk about should you send out a pile of mail? I mean, tens of thousands of letters all at once and just “deal with it”? Like Jill thinks you should do. Or should you methodically eek it out and be smart about it? Jill DeWit: I think there’s a sweet spot so we’ll talk about that. Steven Butala: Yesterday, a very bright member of ours said, “All right, great.” Great. I’ve done 10 deals. What do I do now from a legal and tax and corporate setup standpoint? This is my suggestion and please don’t overthink this. Number one, it’s going to change. Every year it’s probably going to change. So you don’t just set it all up and it’s over. Pick a state. I’m going to suggest Nevada, where there’s no state taxes. Get an LLC. Research how you want to set the whole thing up and start putting property in that LLC buying and selling it. Make sure you have the right accountant. Jill yesterday said, very clearly, you’re going to outgrow your accountant just like you outgrow your children and anything else in your life. Jill DeWit: Hopefully not your spouse. Steven Butala: So, all kidding aside, we really did cover this in a tremendous amount of detail yesterday. So today’s real topic is, Should you send out tons and tons of mail, 50,000 mailers, all at once and just deal with it and try to get all those deals done? Or should you just send out 2200, 2400, 3000, 10,000 a week? Jill DeWit: You know I mean bulk, but I want to just find the sweet spot. So that’s what I wanted to talk about with you. There’s a point where you’re babying yourself and you’re only upping 100 mailers a month. Steven Butala: 100 is silly. Jill DeWit: And I’ve seen this. This is why I want to talk about this. Steven Butala: You should never send out 100 mailers. Jill DeWit: Let me tell you why. Jill DeWit: I happen to run more closely than you because of the operations. I’m on the operations side of this, Offers to Owners, our direct mail company. For anyone who doesn’t know what Offers to Owners is, it’s a company where you can go and upload your data set, upload your mail document, your Word document of your template. We merge it for you and we put it in the mail the same day. It rocks. What is interesting is, I see people doing it right and I see people doing it wrong. Steven Butala: That’s a minimum. Jill DeWit: Minimum. And then up your game depending on what you can handle. So maybe 1500 mailers … maybe you know you can handle 2,000 mailers. And as you get this going, you should be [inaudible 00:13:20] system, 2,000 mailers. Maybe it’s once a month. Okay. Now 2,000 mailers every other week. Oh, maybe now it’s 2,000 mailers every week. You should be pushing yourself and not doing, not turning it on, turning it off, turn it on, turn it off. Especially because you’re now over 10 deals. You understand this. I want everyone to push themselves a little bit more than they are because you guys got this. Just get over it. When the money … because the more you push yourself, the more money you’re going to make. You could afford some extra help and that’s what’s going to push you ahead. That’s my argument. I don’t want you to go bananas. Steven Butala: You are so the girl for me. Steven Butala: I mean it. Jill DeWit: You know what’s funny about this? I know in my heart, you have done this with me on other things and that’s where I’m getting a lot of this from. You have pushed me, you have. In a very healthy way, Steven. I may not have said it at the time, but you have pushed me and said, “Knock it off. The phone’s going to ring. Hold onto your hat.” I’m like, “All right. Here it comes.” So, that’s my speech. Steven Butala: What Jill described to do is exactly what you should do. Exactly. You never want to send a 200 or 300 unit mailer out and you do not want to send out a 50,000 unit mailer at once. I’m telling you right now, not even our level. Heres what happens. I’ve just got done with this 28,000 unit mailer. And I broke it all up into two months. And it goes out every Wednesday. So I process all the data in the mailer, all that stuff in the same time. We’re going to eek it out. And it’s for a very, very specialized product type. And because I really believe that we’re going to get a massive return, how and why we’re doing this. But heres’ the kicker, here’s the issue. It’s not so much that you can’t handle the acquisition volume. Handling acquisitions is not that hard. And if you have to, you can sub it out to escrow people. There’s a lot of ways you can … you can put people off, the acquisitions. You can put the deal off and say, “I’m happy to do it in two weeks. We’re swamped right now.” That’s fine. You can’t post property and properly sell it. It gets jammed up there for us. Unless, you have an automated sales process. That one thing yields how much mail we send out. Jill and I are at a point in our career where we don’t have issues selling anything. Almost 90% of the time, it’s pre-sold before we even buy it. I can look at it and spend five seconds in Parcel Fact and say, “This is going to sell the first 10 minutes we post it online.” Or I know exactly who’s going to buy it already. So, work it backwards just like anything else. Steven Butala: No we’re not. Jill DeWit: Okay, thank you. In an effort to automate, because we’ve all done over 10 deals here on this show … in an effort to automate now, is it easier for you … I think this is the new way to do things. It’s like what you just did, pull a bunch of data at once instead of sitting down once a month and assessing your counties at this point and assessing … no, seriously. Steven Butala: That sounds like a nightmare. Jill DeWit: But, doing it once a quarter like you just did, pulling down where you’re going to have 30,000 … narrowed it down to 30,000 units and then you just have the mail scheduled to go out once a week with those 30,000. Then next quarter, you do another 30,000 and another 30,000. I love it. That’s the best way. I know we’re kind of dipping into next week’s topic, which is for people who’ve done over 100 deals. Steven Butala: Yeah, that’s okay though. Steven Butala: and this is actually worth spending time and talking about because a lot of thought goes into this. There are some people that do really well with chaos. I’m 100% serious. Jill DeWit: Oh, okay. Wait, wait, wait. Steven Butala: Hold on, hold on a second. Steven Butala: Just let me describe this. There are some people where the phones just never stops ringing. And every single time they turn around, it’s some kind of validation thing that goes on in their head, that somebody’s calling them to say I want to sell you the property, or I want to buy it. And they just love it. Like a call center. Their house is a call center. I’m not one of those people. I want to wrap it up. I’m a kind of person who, if 20 calls come in, you know you’re going to close 10 deals, or whatever the numbers end up being. Each deal you’re going to make $10,000 on. I know I’m sitting on $100,000. Let’s go to work. That’s how I operate. I don’t think that’s the rule. I think it’s the exception. Jill DeWit: Yeah. I don’t operate that way. Steven Butala: I know you don’t. Jill DeWit: Now I hear what you’re saying. I’m the chaos person I guess. Steven Butala: And 12 million bucks selling houses. And 14 million dollars doing mobiles, which is really what the stuff I look at all the time. Jill DeWit: Hold please. So who’s to say that you’re not a little bit chaotic? You just do it a little bit differently. Steven Butala: I shifted the chaos to your staff is what happened. Jill DeWit: Oh, buddy. Thanks a lot. We love you for that. So hold on a moment. Let me back up here. As the operations person, I see what’s going on. It’s a little bit of both. Your goal is to systemize with both of our, each line of revenue and keep adding line of revenue. So there’s still always a little bit of something new coming along. Steven Butala: That’s never going to happen. Jill DeWit: See, there we go. Steven Butala: Never. I’m four companies ahead right now. Steven Butala: Let’s call it four revenue streams ahead. Jill DeWit: I’m well aware of that. Steven Butala: That’s a good time to bring this up. 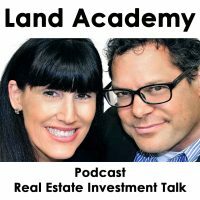 There are endless revenue streams in real estate. Steven Butala: There’s not only rural vacant land, which we all love and understand and that’s what this show is about. There’s [inaudible 00:19:47] lots all over the darn place. Steven Butala: [inaudible 00:19:52] lots, [inaudible 00:19:52] lots. There’s mobile homes, but not just one type of mobile home. There’s grandfathered in mobile homes where you can slap buy an old mobile home because it’s been there before 1986, in California … I think it’s ’86, maybe it’s ’76. Rip that thing off of there. It’s not worth anything anyway, plop another one down, triple your money. I’m doing a whole program on this. You make $100,000 a unit with your eyes closed. Jill DeWit: I just had a conversation with a woman a week ago. Her name is Katrina and she is now a member. And she is in a state that I’m not going to say, but I happen to know is an awesome state to do infill lots. Jill DeWit: That’s not bad. But this one is a good, sweet spot. I just happen to know the pricing is a good little area and stuff. But anyway. Steven Butala: Infill lots are really easy to sell. Jill DeWit: Oh, you can do it everywhere. Steven Butala: It’s a whole … we are off topic now. Jill DeWit: We are. Yeah. Steven Butala: So please don’t send out 55,000 mailers unless you just like, unless you’re an addict and you just love talking on the phone and not doing deals. Jill DeWit: Or you have the staff set up and you’re doing over 100 deals and you just pawn it off, you just hand it to them, hand it to them, hand it to them. Steven Butala: We’re like that, but we still don’t do it all at once. Why hurt your staff? Because in the end, you know what’s going to happen? You’re going to let … a lot of deals are going to slip through the cracks. But it makes you feel good at the time. It gives you all kinds of sense of personal validation, if that’s what you’re into. I personally like money in my bank account. Steven Butala: Join us tomorrow for another interesting episode where we discuss land, business, marketing and sales. Steven Butala: You are not alone in your real estate ambition. We’ve got to stay on topic here. Jill DeWit: Well you know why? Because this legal and tax stuff is boring. Steven Butala: Yeah, that’s what it is. Jill DeWit: That’s why, even though we’re covering it, it’s important. I understand. You and I will do everything we can to not talk about it, clearly. I’ll start bringing out recipes here next show. Steven Butala: Hey, Jill. What else do we not like to talk about? Steven Butala: I want to know. Steven Butala: Like what do you avoid talking about? I already know the answers to all these questions. Jill DeWit: My feelings. Seriously. Steven Butala: Okay. Well you get a gold star there. Jill DeWit: -planning and wills and all that stuff. I hate it. I will avoid it. Steven Butala: Recently I can’t stand talking about IT. Jill DeWit: I’m okay with that. Steven Butala: I have no patience for it any longer. Jill DeWit: Well, I’m okay. Steven Butala: Even the website piece of this stuff. Jill DeWit: I understand. Well, you know why I’m okay with it right now? Because now I have people that can get stuff done. I need to knock on something. Share the fun by subscribing at Itunes or wherever you are listening. And while you’re at it, please rate us there. We are Steve and Jill. Steven Butala: -to buy undervalued property.